Anyone familiar with automotive projects knows that the best-laid plans are sometimes simply suggestions, which the universe discards as irrelevant, and implements its own timeline for things. While it isn’t the ideal situation by a long shot, sometimes adversity breeds excellence, and in this case, that is definitely the track the project is now on. 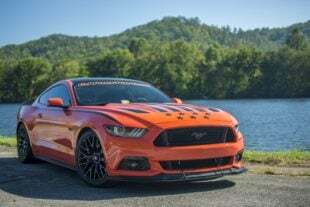 The project, dubbed Boosted Coyote, started as a simple 2015 Mustang GT with a Roush TVS supercharger, decent suspension, and full interior which was making in the 750-rear-wheel horsepower range, and running 9.80s in the quarter-mile. However, the stock internals soon gave up the ghost and the car’s owner, Ivan Korda, commissioned a mild rebuild of the short-block and had the heads machined. Unfortunately for him, there were a myriad of issues with the rebuild. This only became apparent once Ivan fired up his newly rebuilt engine to the worst possible sound anyone can imagine hearing upon startup of a fresh rebuild; metal on metal. By the time Ivan got the engine shut down, it was too late. The engine was full of hate and discontent, and it needed to be pulled apart once again. That is where this story starts for us. With the engine in need of a full rebuild at this point, Ivan was at a decision point – just get the engine running, or finally step it up and begin the progress towards the four-digit horsepower mark. Of course, Ivan being a gearhead through and through, the latter was the only reasonable option. Knowing that there was a Whipple 2.9-liter twin-screw supercharger just sitting on his shelf, and what that supercharger is capable of producing, it was time to build an engine which will not only handle the 850 rear-wheel horsepower his current fuel system is capable of supporting, but would be capable of growing with his horsepower goals. Step one in the whole process was to have the team at Livernois tear down the damaged engine and go all CSI on it. Not only did we need to know what was salvageable, but why the damage occurred in the first place. In order to do everything right, a plan was hatched to contact noted Coyote tuner and parts manufacturer Livernois Motorsports and Engineering. 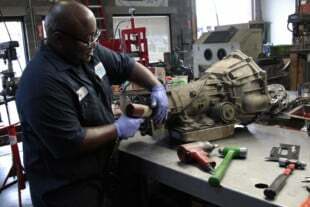 Before anyone started throwing parts out, the first step was a meeting with the Livernois staff to clearly define the project’s goals – a streetable 1,000-horsepower-capable Coyote engine, built for a significant amount of boost from the intercooled positive-displacement supercharger, which isn’t a cookie-cutter combination. Since Ivan plans on driving the car to and from and track, along with cruising it around on the street, street manners needed to be maintained, while incorporating the durability demanded by single-digit quarter-mile passes, along with the occasional half-mile jaunt down the airstrip thrown in. 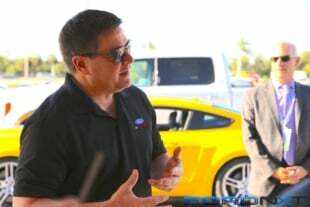 No small feat to ask of a 5.0-liter Coyote engine that will eventually make north of 1,000 horsepower at the wheels. The Whipple 2.9-liter twin-screw supercharger which will top off the new Coyote build will be capable of four-digit horsepower generation. However, not at first, as Ivan’s current fuel system will only support 850 or so at the rear wheels. We’ll fix that soon, though. The discussion with the staff at Livernois, which included Dan Millen and Andy Ricketts, boiled down to us recreating the Livernois Powerstorm Pro-Series short-block and the Powerstorm Race-Series cylinder heads, using Ivan’s existing, salvageable parts, and then Livernois performing the assembly of the engine, and shipping it back to Ivan, ready to drop in the car. However, the first step in that process was to have Livernois perform an autopsy to not only see what happened, but to see what of the components were actually salvageable in the first place. Little did anyone know just how bad it was going to be. As Livernois engine builder Fonzie Novelo started the teardown, it became quickly apparent that there were two separate categories of issues with this engine: Components which were incorrectly installed by the machine shop and likely caused the damage, and damaged components. Unfortunately for Ivan, there weren’t many parts in the third “can be reused” category. While a backwards cam cap may not seem like a big deal at first glance, they are honed in a specific orientation, and by flipping them, a zero-oil-clearance situation can occur. The last incorrect item found was an incorrectly-installed balancer. 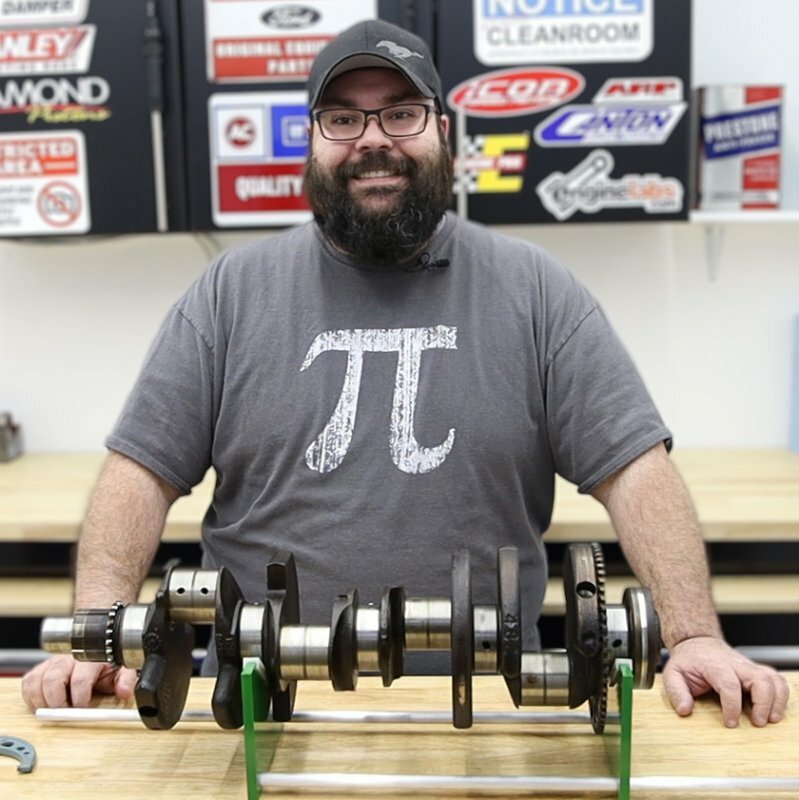 “The balancer was installed without ensuring proper clearance existed between the hub and the crankshaft,” Ricketts recounts. Those issues led to an incredible amount of damage, especially for an engine with simply an initial start-up on its run-clock. “If you count the engine as one area, then the damage could be considered confined to one area. Unfortunately, it was not confined to one system, and the damage was extensive,” Ricketts explains. 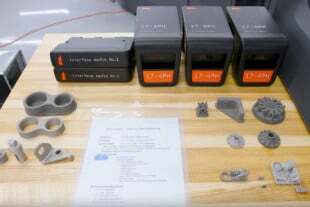 Because we are serious tech junkies and have more than a little bit of morbid curiosity (and maybe because we watch too many CSI shows on TV, but that’s neither here nor there), we asked the team at Livernois, to break down how the failures occurred and explain the damage step by step. Much to their credit, they indulged us. A lack of clearance in the cam journals meant burned up, scarred journals. While there are places that might bore out the journals and add bearings, that isn’t a procedure used by Livernois. Next, we move on to the issue of incorrect timing, which according to Livernois, had the largest impact on the extent of the engine’s physical damage. “As mentioned in the first area, [the incorrect timing] created a long-crank/hard-start condition due to one bank being in time, and the other out of time. This ran the cams dry, and started to seize on the bank with incorrect cam cap orientation.” CSI Ricketts explains. The improper clearance of the harmonic damper when installed onto the crankshaft led to damage on both the balancer hub and the crankshaft itself. Neither part was salvageable, and a new crankshaft and balancer hub will need to be sourced before it can be double-keyed. With the damage uncovered, our next course of action was to determine how to repair it all. One thing that had to be very strongly considered was the level at which this engine will be asked to perform. 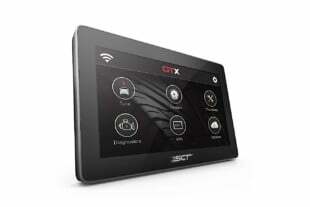 There are certain areas that for a completely OEM-power-level application, a repair would be a viable option. However, we need to remember what we want to accomplish with this engine. With the engine improperly timed, the valves and pistons soon became intimately acquainted, as you can see by the marks left on the piston face from the valves. As you can see from the sludge in the oil pan that bad things definitely happened it the short amount of time the engine ran. What's unfortunate is how badly damaged the engine was in such a short amount of time. Also, in cases such as Ivan’s, it pays to make sure you use a shop who knows what they are doing. Oftentimes shops can talk a big game, but as he found out, not everyone can walk the walk. Thankfully, we have companies like Livernois who can not only talk and walk, but chew bubblegum as well. With the teardown complete, now comes the fun part – rebuilding the engine into a badass piece of engineering which is capable of four-digit horsepower levels with a Whipple 2.9-liter supercharger, while cruising to and from the racetrack and busting off low-nine-second passes. Stay tuned as we move forward with machining and assembling the short-block of Project: Boosted Coyote next month. While normally the damage to the cylinder head, caused by the piston making contact, could be repaired, combined with the destroyed camshaft journals mean that Ivan had to replace the heads completely. He did get about $30 in scrap value for the pair though.